I would like first to thank you all for your encouraging words and the valuable feedback on my articles and videos. Now, some of you have suggested shortening my new videos into 5 to 10 minutes. Therefore, in this short video of around 7 minutes, I am going to highlight to you what is the most important factor other than serving our purpose, mission and vision as individuals and members of an organisation for motivating our colleagues on exploiting European funding more successfully. Borchgrevink, C. P., Cha, J., & Kim, S. (2013). Hand washing practices in a college town environment. Journal of environmental health, 75(8), 18. In case you want to develop further what you have discovered in this article/video and exploit fully and become a pro in communication, dissemination and exploitation of european funded projects, you must join the world’s best Funding Expert ecourse on becoming one of the best Funding Experts in Europe. 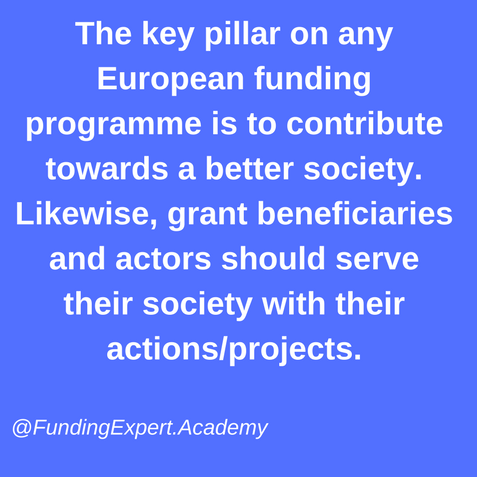 Anyone that is active or wishes to become active in any european funding programme must follow this course that is followed with a 30-days money back satisfaction guarantee. Finally, I provide below 5 key-messages I kept from this video that everyone should remember that wishes to be a great funding expert with value. Nikolaos Floratos after his undergraduate and postgraduate studies with distinction as engineer in London (Imperial College, City University), UK, has been working for a number of consultancy and Information Technology companies as consultant and project manager across Europe. He completed also an MBA (Master in Business Administration - National Technical University of Athens and Athens University of Economics and Business) and the last 19 years he is involved in planning, managing and evaluating large and small projects in the area of research, education, ICT (Information Communication Technologies), social inclusion, entrepreneurship, standardization and consumer issues. 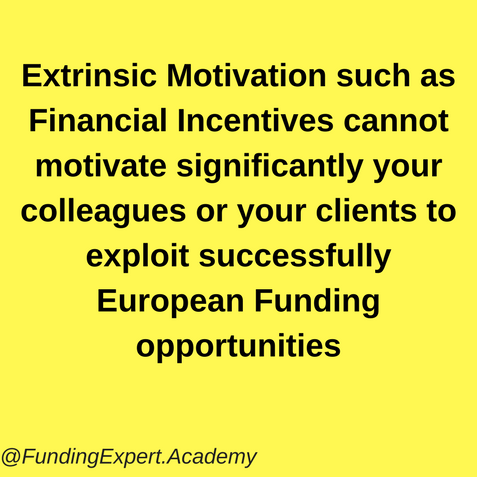 As a funding expert, personal trainer and coach, he has supported hundreds of individuals and organisations mainly from Europe but also from all over the world on managing state funding (e.g. from European Commission, National Funds, etc) and receive support for deploying their business idea or mission and he has proved that anyone can become a great proposal writer or project manager of european funded projects through proper guidance, training and coaching. He is an expert on behalf of the European Commission on evaluating and reviewing projects and proposals since 2003 and currently, he researches through a PhD how eLearning courses can increase students' engagement and motivation. He is the creator of the Funding Expert Transfomation Process™ system that can transform anyone to a great proposal writer and project manager of european funded projects. He is also interested in investing in highly innovative start-ups and SMEs and he is member of the European Business Angel Network and of the Institute of Leadership and Management. He has received more than 50 recommendations at his linkedin profile (www.linkedin.com/in/floratos) as a funding expert, coach and trainer. He is also the author of the ebook "Who are the Horizon 2020 champions and what to learn from them". He is also listed in the top first three search results by google as "Funding expert".